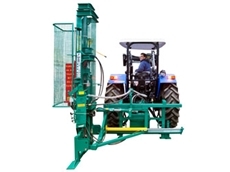 Since 1963, Munro Engineers have manufactured tractor mounted, hydraulic post drivers with diggers, improving fencing systems. The post drivers will work with steel posts, star, treated pin, concrete, split, square and round posts and railway sleepers. 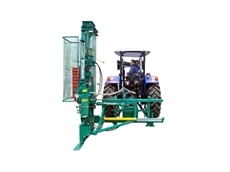 Prodriver offers a post driver heavy machinery thats has been designed by professional fencers. The Prodriver is a product made available by Mt May EnterPrises. Australian Fencing and Livestock is a national supplier of quality farm fencing materials and accessories. 10/03/11 - Munro Engineers introduce the Multi-Sett/ Tele-Sett post drivers with side shift, a flexible, fast solution to high capacity fencing work.